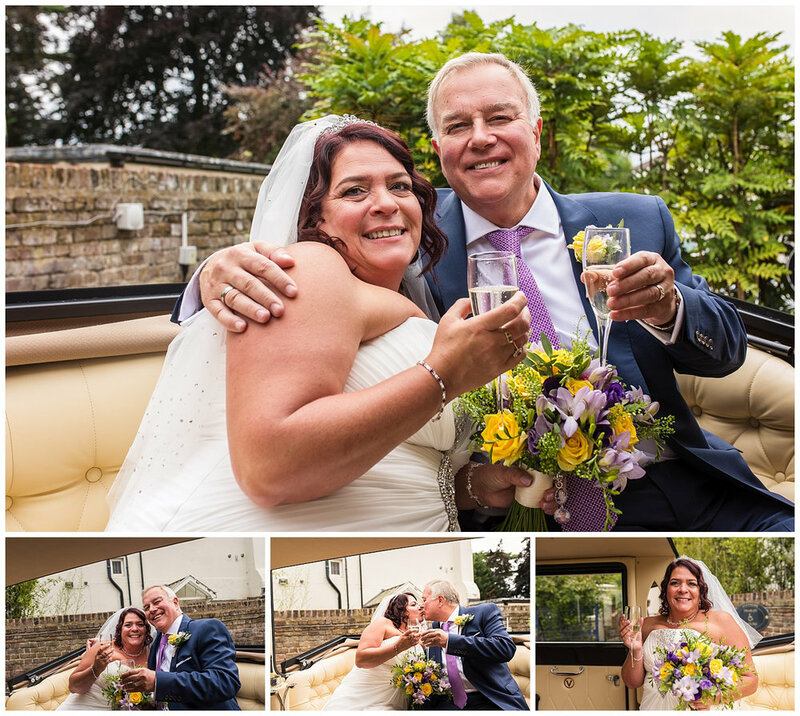 I first met Jayne and Colin over a couple of drinks at their favourite pub in Kingston and we immediately got on straight away and I was honoured when they chose me to capture their big day. Jayne and Colin are such a wonderful couple and I was immediately drawn to their fun and happy personality and knew it was going to be wonderful capturing every moment of their wedding. 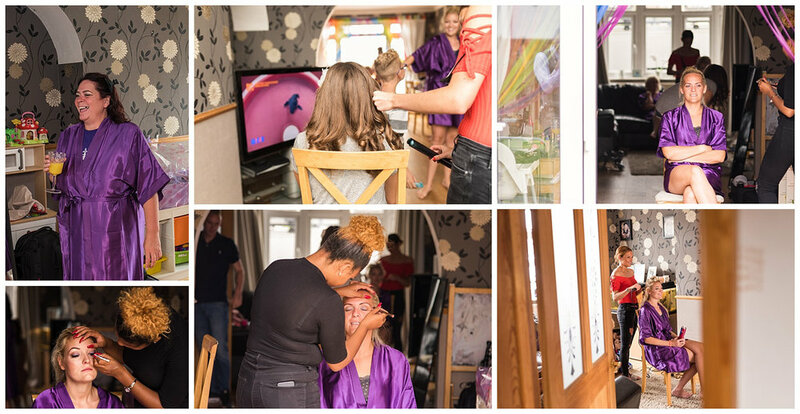 The big day arrived a few months later and with only a short drive to Tolworth I went to capture Jayne’s bridal prep where she was getting ready with her Bridesmaids and brother. Straight away, I was met by a house of laughter and excitement which made for some lovely candid images! A short drive over to Glenmore House where I was able to capture some documentary photos of the guests arriving and Colin preparing for his Bride to arrive! 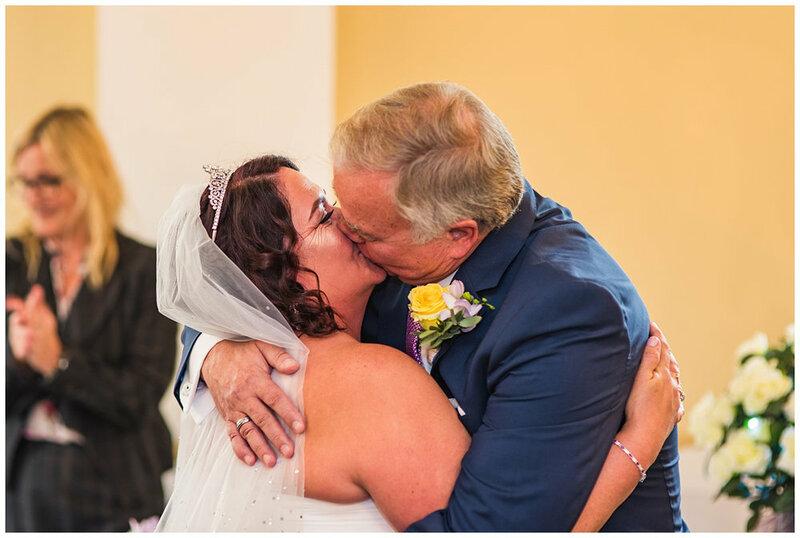 The ceremony was full of emotion and laughter and then everyone made their way outside ready to shower the newly married couple with a mass of confetti. 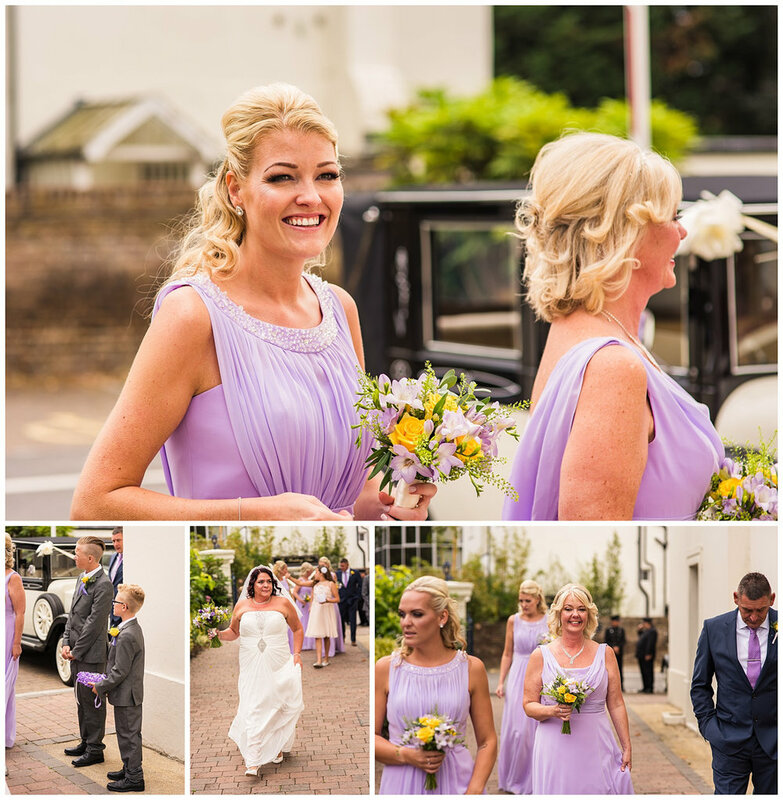 I was so fortunate to capture these shots and are probably my favourite confetti shots I have ever taken, the joy and happiness on Jayne and Colin’s faces truly tell the story of the day! 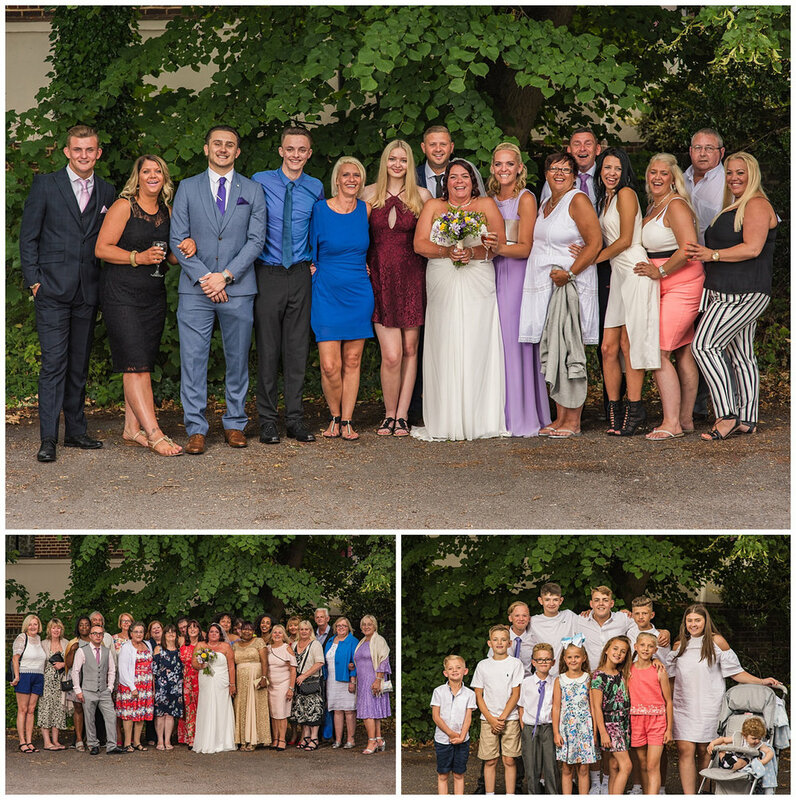 After lots of encouragement I managed to get all of their wedding guests across the road to Claremont Gardens for a big group shot before they raced over to the bar! Next up came the group shots around Claremont Gardens which although surrounded by cars I still managed to get creative and take some intimate photos of Jayne and Colin. Jayne’s brother David also came out and gave me a hand holding a flash for a couple of the shots which was really cool of him to do! 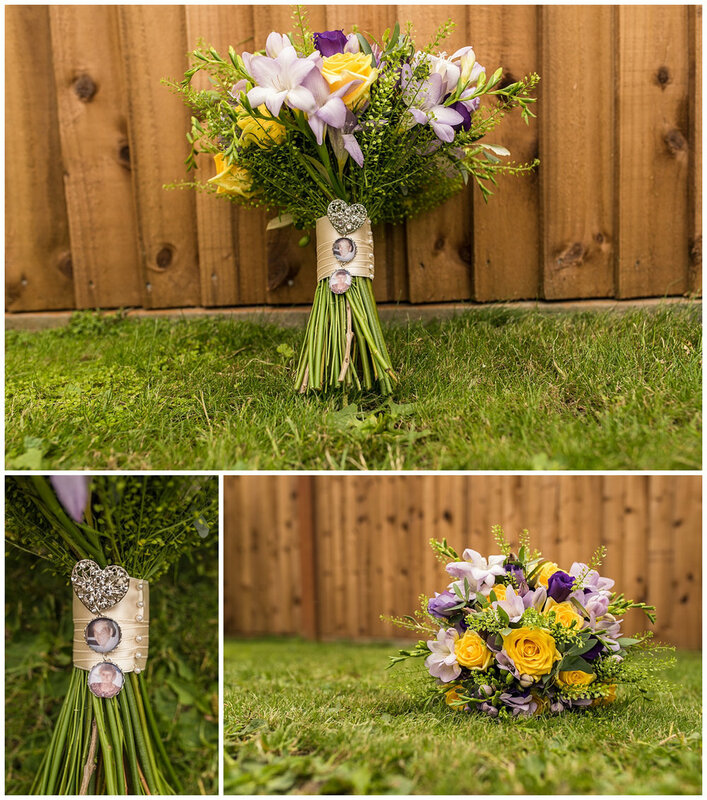 When Jayne and Colin walked into the room for their wedding dinner, the room erupted into huge cheers and chanting and I could really tell each and everyone of their guests were so happy to see them tie the knot. 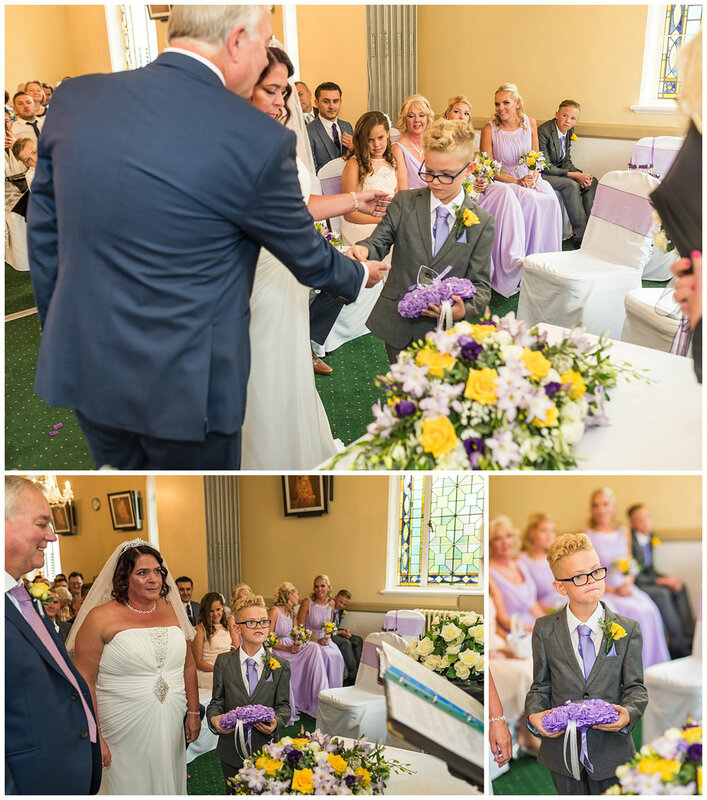 Being Chelsea Football Club supporters, there was lots of Chelsea themed details throughout the room which was very fitting as Jayne and Colin met through their love for their boys in blue! The rest of the day was an absolute pleasure to capture. The speeches were charged with genuine emotion & the bride and groom had an amazing dance followed by Jayne dancing with her girls. Scroll down on this page to see more of the photos from Glenmore House. 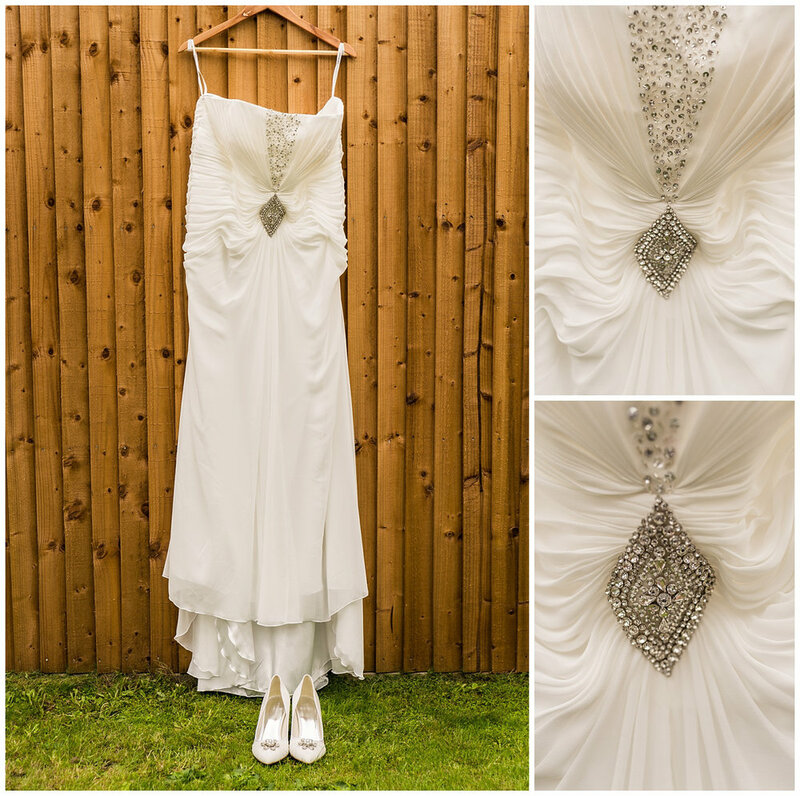 If you are interested in me photographing your wedding please use my contact page to enquire about my availability.